The Australian Golf Media Association (AGMA) and ISPS HANDA are pleased to announce that, as a result of a recent ballot, the 2017 ISPS Handa / AGMA Honouree of the Year is Ian Baker-Finch. The annual AGMA dinner and presentations will be held on Saturday, 25th November. Integral to the evening, the event’s special guest speaker will be former New Zealand Prime Minister Sir John Key GNZM, who is Patron and Ambassador for ISPS HANDA. 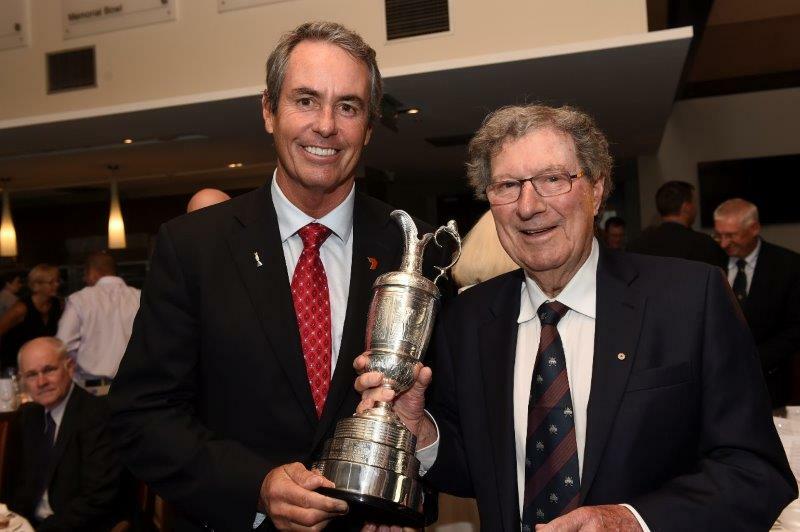 AGMA and ISPS HANDA are honoured to host Sir John. Both organisations hope this year’s meeting of Australian golf’s most venerated writers will provide a great opportunity for the media to learn more about ISPS’ global activities, which benefit those in the blind and disabled communities. Sir John will present the award for 2017’s ISPS HANDA Honouree of the Year, Ian Baker-Finch, which recognizes the talent and achievement of an outstanding golfer. Ian has said that he will attend the dinner on the evening. ISPS HANDA will also present an award during the evening to an individual or organisation for their efforts to enhance the involvement of disabled players in the sport. “ISPS is delighted to sponsor the Australian Golf Media Awards. The dinner presents an excellent opportunity to honour the fine writers of Australia, who so masterfully document the sport. We are also honoured that the Rt. Hon. Sir John Key will be travelling to Sydney to represent ISPS at the evening’s festivities. I am sure he will enlighten us further about his own passion for golf, as well as ISPS’ current initiatives in the sport to help boost participation from blind and disabled athletes”.